Elementary School Students Evacuated After Roof Fire in Rowley, Mass. Elementary school students in Rowley, Massachusetts were evacuated Friday after a blaze broke out on the structure's roof. Crews responded to a fire at Pine Grove Elementary School on 191 Main Street. 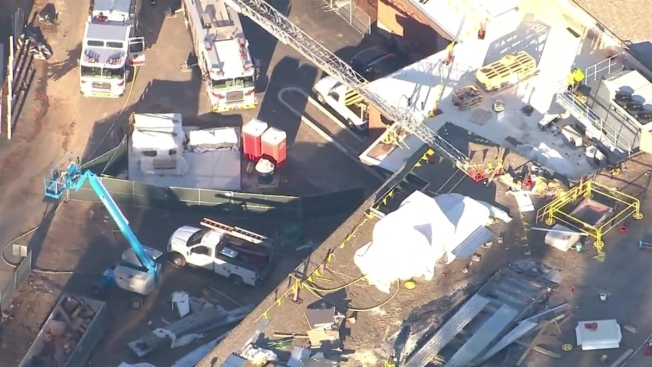 NBC10 Boston's Sky Ranger helicopter was over the scene, where multiple firefighters could be seen inspecting the roof. The cause of the blaze is under investigation. No injuries were immediately reported.